(a) For Postman Category : Matriculation from a recognized board. (b) For Mail Guard Category : Matriculation or Equivalent from a recognized board. Application Fee : Rs.100/- mandatory for all categories of applicants who have registered online. The marks obtained in Aptitude Test will be taken to draw merit for each recruiting division and selection will be purely based on merit basis. 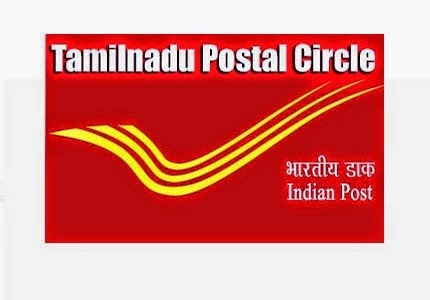 The applicant can able to apply for only one division either choosing Postman cadre in Postal Division or Mail Guard cadre in Railway Mail Service Division. If an applicant registers more than one application online, his/her candidature is liable to be rejected without any communication. 1) The applicant has to visit the official website www.dopchennai.in through internet enabled workstation or personal computer or laptop. 2) The applicant has to go through the notification, instructions to candidates, vacancy position, Read carefully before filling up the application form. (i) The scanned image of photograph and signature in .jpeg, .jpg format in specified file size as mentioned in the instructions. (ii) 10th Standard mark list. 4) The applicant has to fill up the data required online. 7) After registration, fee challan will be generated as per the eligibility of the applicant. 9) After payment of fee, the candidate has to update the payment details in the portal through LOGIN for completion of registration process and to take a print out of his/her Application.